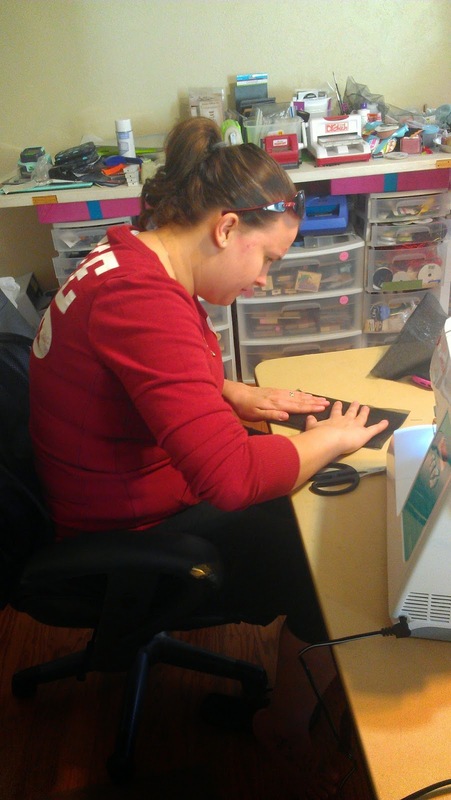 Sharing for 2015 - The Craft Room! I always wanted a place to come together with good friends and share my love of crafting, art and sewing. This is a sharing of actual "Craft Group". They meet and share ideas and projects. Maybe this is your year to get the craft room fever! Thank you Jan Hunter for sharing! We've been "playing" now for 8 1/2 years now. Hard to believe that this now 2x a week gathering has been going on for this long. It's still fun! We started in May of 2006, meeting together once a month... making cards Our motto was and still is: "There are no Rules, just opportunities for embellishment." 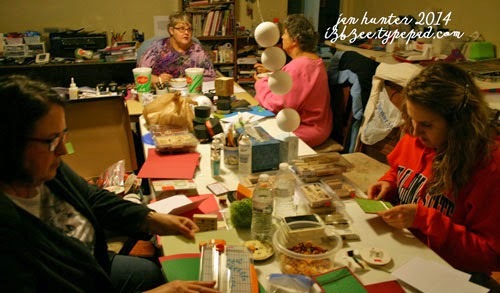 Well, as things go, we soon discovered that once a month wasn't sufficient to get all the cards made , learn new crafting techniques or stay caught up... so we soon started meeting every Saturday starting at 10am and going until the last gal dropped! LOL We've had a few Saturdays where 12 hours later, we were still crafting. We started with eight women and continued to share with friends. A few have moved away, we've experienced the passing of one of our group, shared the highs and lows of life in general. We've learned much from each other. Early in our 2nd year of gathering, we started meeting on Wednesday's too. It was fun to get together during the middle of the week and continue to learn and grow from each other. 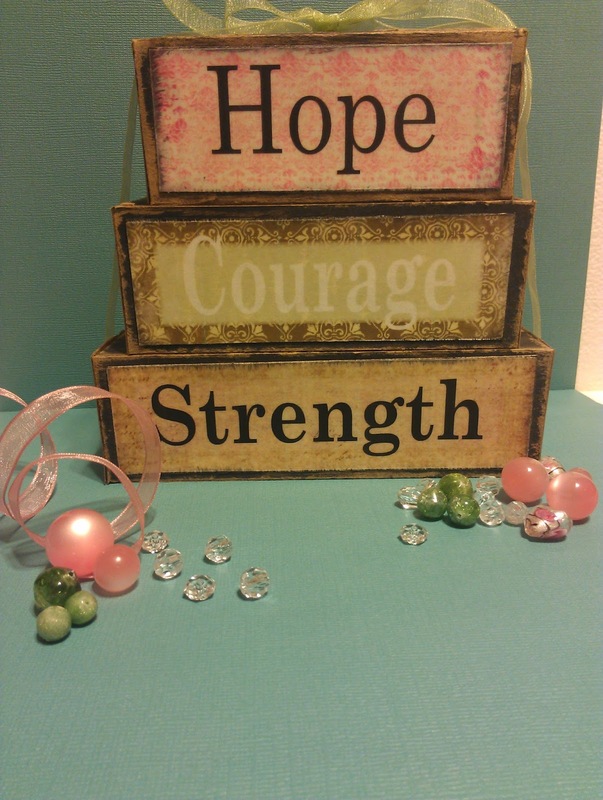 Every woman in our group has certain strengths and loves sharing what they make during their sessions in the craftroom.We started with making cards and 3D creations, a little bit of home decor and other crafting. We've made paper, painted on canvas, folded paper and oh, so much more over the years - filling our homes (and our kids, and friends) with many of our projects. There are a few gals who drop by, that don't craft -- but they enjoy the company and companionship of the group. All are welcomed and it's always fun to visit. While we still use steel rule dies and embossing folders, stamps and inkpads from several well known companies, we have upgraded to electronic cutting machines and so mch more, including the use of Craftwell's ebrush in a couple of our most recent gatherings. The sewing machine even makes an occasional appearance. And we've even gone on a couple of road trips to pick up some additional stash! So much fun and lots of adventures! It's not hard to start your own group... just visit with a few friends, invite them over for an afternoon or evening of crafting. For a couple of your first gatherings, prepare a quick craft for everyone to do to start things off and then let them work on their selected projects for the rest of the time. We generally have a potluck and invite everyone to share a dish. We've never been disappointed and it's always a surprise to see what is on the counter! 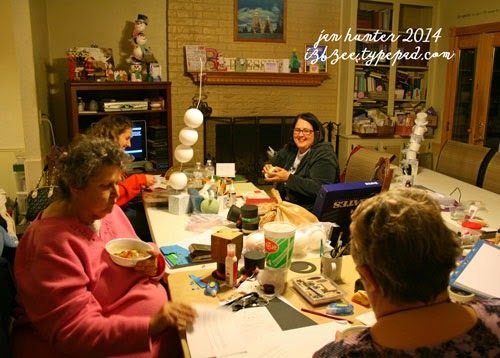 Lots of crafting time and oodles of great conversation every time we get together. If this is something you'd be interested in starting in your area, please feel free to leave a comment. I'd love to help you get started. Wishing you a very Happy New Year and a busy year of Happy Crafting! I wish I lived closer so I could join in the fun. This is so nice!